Dr. Teltumbde argues that caste and class is a duality which has killed a potential revolution in India, dragging India into a socio-political morass. While castes have been the lifeworld of people, as a system their attributes have undergone change due to political and economic transformations in the subcontinent throughout history. The discourse of class that arose with the advent of communism missed this fundamental reality of Indian society and gave rise to this duality. The anti-caste movement articulated by the Dalits, in response, was alienated from this discourse and went on a divergent path. 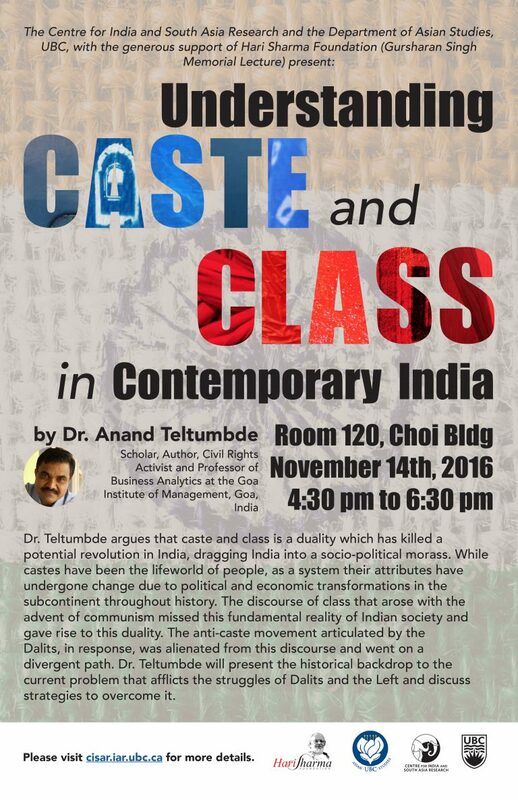 Dr. Teltumbde will present the historical backdrop to the current problem that afflicts the struggles of Dalits and the Left and discuss strategies to overcome it.